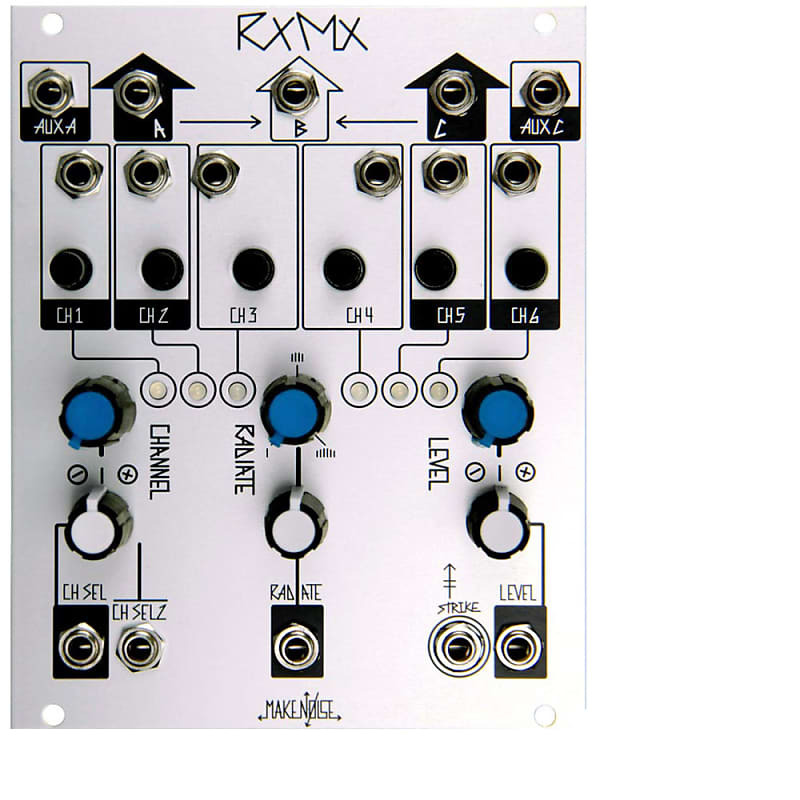 The Make Noise RxMx is based on Grant Richter’s circuit idea for applying “cadavre exquis” (aka exquisite corpse, a technique of serial blind composition) to modular synthesis. 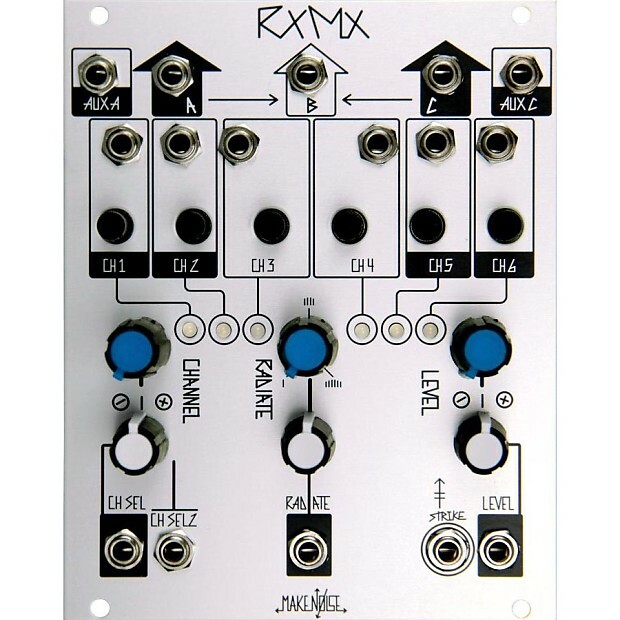 If modulated by a Wogglebug, one will achieve modular “cadavre exquis.” If patch programmed using a sequencer such as the Pressure Points/ BRAINS or René, modular “mélange automatique” (automatic re-mixing) could be achieved. The Level and Strike parameters are similar to those of the Optomix where Level is controlling amplitude and frequency content simultaneously and Strike triggers the LPG (Low Pass Gate) circuit by “plucking” or “pinging” the vactrol, thus allowing it to impart its magically slow response time upon the amplitude of the signal being processed. The Channel parameter selects which of the 6 Low Pass Gate circuits is driven by the Level and Strike parameters and the Radiate parameter turns on channels adjacent to the selected channel. At maximum Radiate settings all six channels become active simultaneously. Radiate therefore allows for voltage control of the complexity of the mix ranging from 1 to 6 active sound sources, while Channel selects the focal point of the mix.